Devialet 110 review | What Hi-Fi? 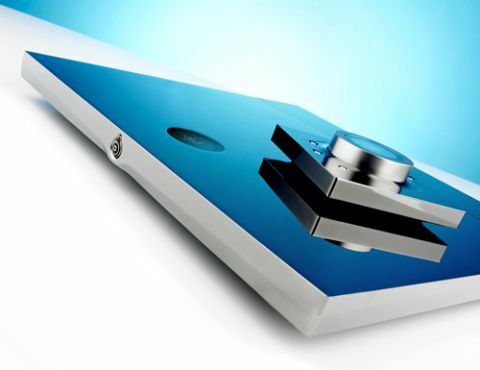 Devialet’s original amplifier, the D-Premier, caused something of a storm in high-end circles. Here was a slim unit – looking more akin to a pair of posh bathroom scales than any traditional piece of hi-fi – that not only challenged the very best amplifiers around in sound quality, but did it with a hybrid electronic design that was as innovative as any we’ve come across. A few years on and the company has enjoyed massive investment. The result is a three-strong range of amplifiers to replace the original. The 110 is the baby of the range: it may look much like the original, but it sells for half the money. Look for the areas where money has been saved and you’ll find them. Power is down from 240W per channel to (as the model name implies) 110W per channel. That shiny casework is subtly different, as is the distinctive remote control – both look and feel less luxurious than the original, but still have more than enough quality for the price, even if the finish is a magnet for fingerprints. The heart of the 110 is still pure Devialet. Take off the cover and look inside and we’d bet a sack of money that even experienced electronic engineers would struggle to figure out how the circuit works. Devialets are like no other amps on the market, and don’t use any of the conventional circuit structures. Like its siblings, the 110 has a clever arrangement whereby a low-power, high-quality Class A amplifier works in tandem with a more powerful Class D circuit to drive the speakers. The idea is to deliver top-quality sound from a compact, environmentally friendly box, and it works. All the internal workings happen in the digital domain, so even analogue signals (including those from a record player) are converted before the amplifier processes the signal. The cleverness extends well beyond the electronic design and space-age appearance though. Devialet has had a fresh look at the features set too. Like the D-Premier before it, this amplifier is configurable. The physical connections at the back include optical, coax and USB as well as a pair of RCAs. Each of these can be fine-tuned to an appropriate source, so, for example, the analogue RCAs can be set for line-level use or configured as a phono stage (moving-magnet only in this case). All this is done by means of an on-line configurator, which downloads onto an SD card. The SD card fits into a rear-panel slot and the 110 automatically uploads the configuration data. Connect the 110 into your network wired or wirelessly (with an optional £1000 module), and this amplifier will even stream music from your computer. Just download suitable software (Mac or PC) and off you go. It’s easy to implement, and the losses involved in going wireless are far less than such a connection normally entails. There are even iOS and Android smartphone apps that control volume level and source selection. The Devialet’s unusual shape means that while it can be used in a conventional manner on a decent equipment rack, it’s also suitable for wall mounting. That small display changes orientation accordingly. Clever. So it’s unusual and clever, but does the 110 sound any good? The answer is a resounding ‘yes’. If you’re looking for a clean, precise-sounding amplifier we don’t think you’ll find better for the money. We can’t think of a rival that uncovers so much fine detail, making even dense pieces of music such as Steve Reich’s Music For 18 Musicians easy to unravel. It’s an agile sound, one that defines the leading and trailing edges of notes superbly. We’re particularly impressed by the way this amplifier renders bass frequencies – there’s no sense of blur with overlaid notes, and lovely resolution. Move on to something harder-edged, such as Nirvana’s Nevermind, and the Devialet responds with glee. It’s a rhythmic amplifier, one with solid punch and the ability to communicate the aggression in the music well. High volumes aren’t an issue either – the amp stays astonishingly clean – although in the end the limitations of 110W a channel are heard. Push too hard and the presentation starts to sound a little grubby and strained. We played a range of music, from Mahler’s Symphony No.4 (24-bit/192kHz fed through the 110’s asynchronous USB) to a heavily compressed 256kbps version of Eminem’s Mockingbird, and in each case the Devialet’s clarity and insight impresses. It will show up any flaws in the recording but never overplays the shortcomings. Surprisingly, despite the tonal neutrality and precision, this amplifier doesn’t fall into the trap of sounding clinical or sterile either. The joy and energy in music is kept intact and communicated well. Drop the volume right down and the story changes a bit. The impressive clarity remains for the most part, but the sound loses a surprising amount of dynamic sparkle and rhythmic cohesion. Most amplifiers suffer from losses in these areas when the volume level drops, but the effect here is far more obvious. We’d even go as far as to say if you regularly listen to music at very low volumes this is probably not the amplifier for you. Play the amplifier at the kind of volume levels it encourages and it runs pretty hot too. Make sure it has plenty of ventilation to prevent overheating. Is the 110 a D-Premier on the cheap? For the most part it is. The sacrifices in build are well judged and, for outright clarity, we think the cheaper option is good enough to worry the older amp. As a package we can’t think of another option that marries such sonic skill in such a neat and stylish package. Provided the low-volume issues don’t bother you, this amplifier positively demands an audition.